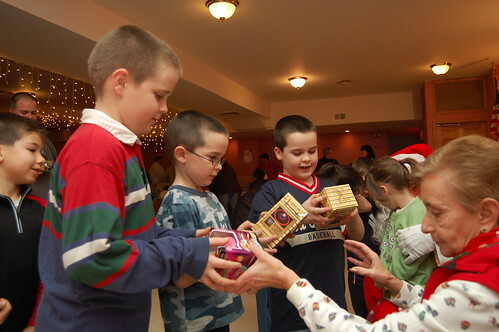 The Cort Club held their annual Childrens Christmas Party on Sunday the 16th. Im a bit late with posted this but its better than never. A great sized crowd attended even with the disgusting weather. The Cort Club provided lots of hot dogs for everyone. Lilybeth put on a magic show for the children and Santa gave out presents. 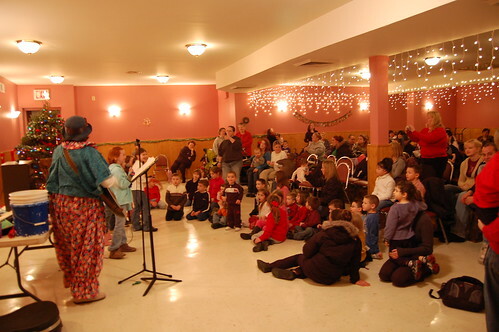 This years Cort Club Kids Christmas Party will be held on December 14, 2008 starting @ 1:00pm and ending @ 3:00pm. All kids are free, ages infant to 10 years old. Each child will receive a gift from Santa. There will be entertainment by Lillybeth, puppet show and snacks for all. The pictures really take me back. I remember my grand dad, John Dowling, taking me there for Christmas in the early Sixties. It’s nice to know that good folks still make good things happen! This is what Gerritsen is all about. Beginning with the Vollies and their Ragamuffin Parade all the way to the Cort Club, all the organizations give so much to this great community. Thanks to ALL. 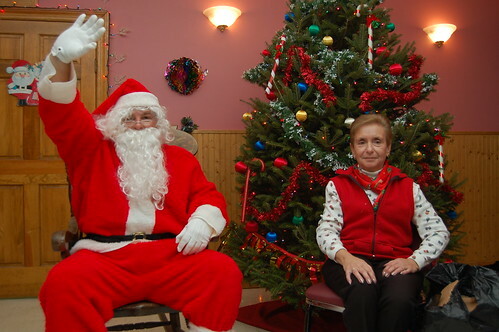 This years Cort Club Kids Christmas Party will be held on December 20, 2009 starting @ 1:00pm and ending @ 3:00pm. All kids are free, ages infant to 10 years old. Each child will receive a gift from Santa. There will be entertainment by Lillybeth, hot dogs and snacks/drinks for all.